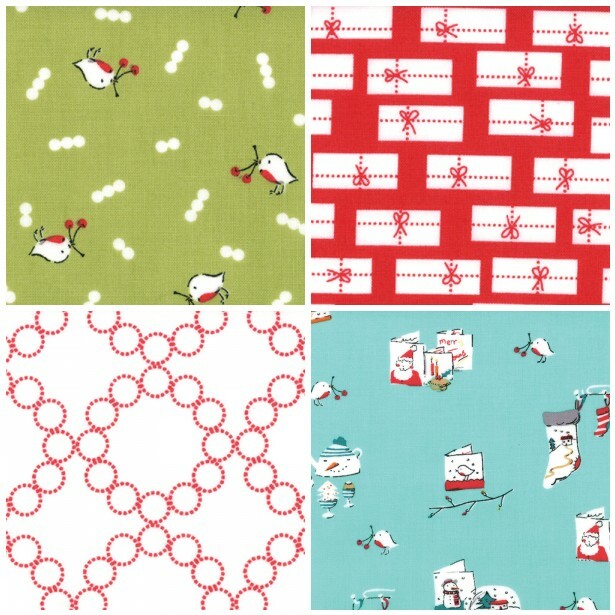 The Fat Quarter Shop is excited to welcome the darling Aneela Hoey to the Jolly Jabber. 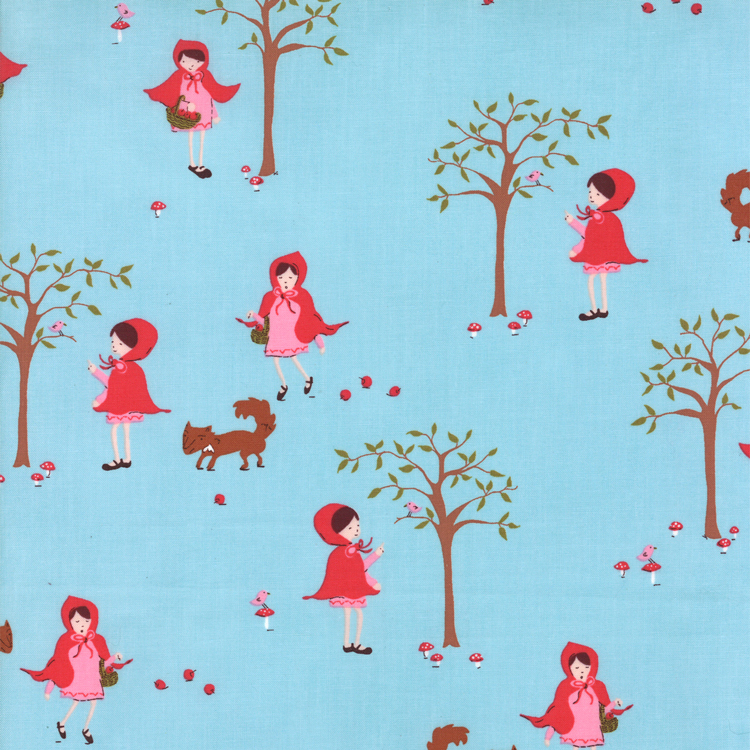 Aneela’s latest fabric collection is A Walk in the Woods from Moda Fabrics. Q: What was the first seed that grew into the A Walk in the Woods collection? 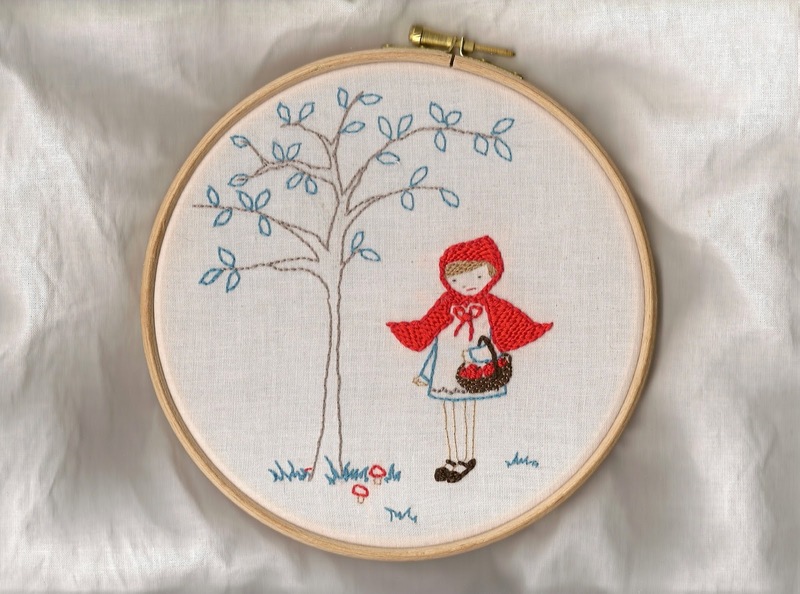 A: For an online swap a couple of years ago, I made an embroidery of Little Red Riding Hood and she was the original starting point for this collection. For another online swap I also made a Little Red Riding Hood appliqué for a sewing machine cover - that is where the image of little red talking to the blue bird sitting in the tree originated. So, I guess you could say a couple of online swaps a few years back kick-started this collection (even though I didn't know it at the time). A: The soundtrack would certainly have Ruby by The Kaiser Chiefs on it. 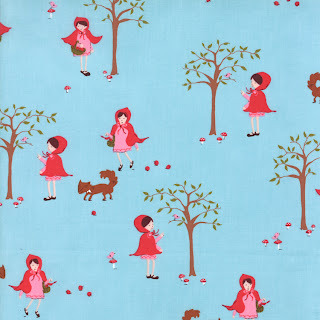 A: Definitely Little Miss Red herself. I love how the print turned out in the end but it was such a lot of work sketching this up in Illustrator - designing really is a labour of love. A: My Crackle Quilt (I say "my" quilt but it is now under the ownership of my eldest daughter). Q: If this collection had a scent to it, what would it be? A: Lily Of The Valley - sweetly enchanting and from the woods. A: My next line is called Cherry Christmas. It will be out in July. Q: If you had a mascot, what animal would it be? A: I think it would have to be a chicken. There is something so homey about a chicken. Q: If we were making a movie about your life, who would you want to play you? Q: Who is your favorite fabric designer not including yourself? A: Right now I am loving Lizzy House.